Sorry it has been a while since my last post. We have been very busy with baby preparations, doctors appointments, and preparing for the holidays. 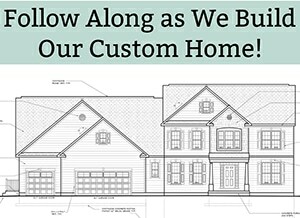 The doctor has given me the big no to traveling so now we will be having both of our families at our house for Thanksgiving. It will be my first time ever hosting Thanksgiving and we will have about 20 people and I am not allowed off the couch. It should be interesting. Thank god for my husband and our families doing all of the hard work so that I still get a Thanksgiving! As a special education teacher, I have made numerous morning binders. The binders typically align with a typical classroom morning routine (date, weather, days in school, etc.) but in a format that an individual student can complete on their own. Often times, my students are not great in large group settings therefore they miss out on important learning during the morning routine. They often sit there and enter their own world. By having an individual morning binder, my students are able to answer the same morning routine questions at their seat for morning work. This way, they are also better prepared to participate in the whole group setting. In addition, children with autism benefit from repetition and routine. 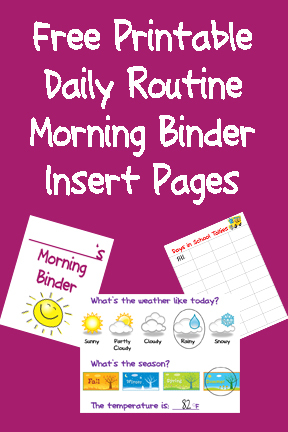 The daily morning binder provides them with repetition of the same skills each day and a routine that is constant throughout the entire year. 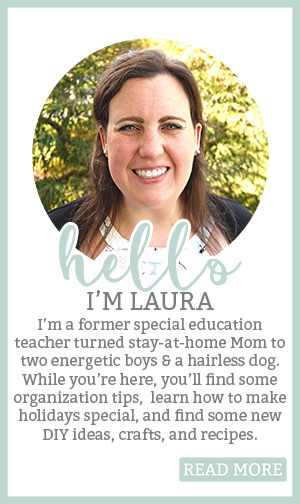 In addition, for my students with autism, I will add additional schedule pages to review the daily schedule and any changes in their schedule or routine. I find that it starts their day in a positive way because not only is it routine (which can be calming) but they also know they will learn about their schedule for the day and any changes. Today I have provided you with basic morning routine printable pages. I use a binder to print the pages. There are some pages that need to be laminated and some that need lamination and Velcro. The binder can be customized to meet the individual needs and learning goals of a student. The Daily Morning Binder isn’t just for students receiving special education services. 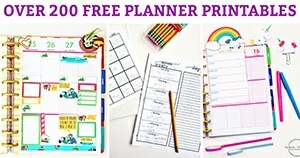 It is also great for an entire class, small groups, day care centers, and parents at home. Here are some examples of the pages below. These are partially filled in as an example. 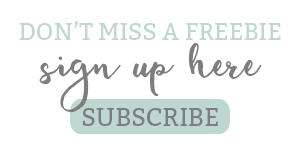 As always, the free PDF files are available for download at the end of the post. Students color in a square for each day in school. Or for higher-level students, they write in the number of days in school. 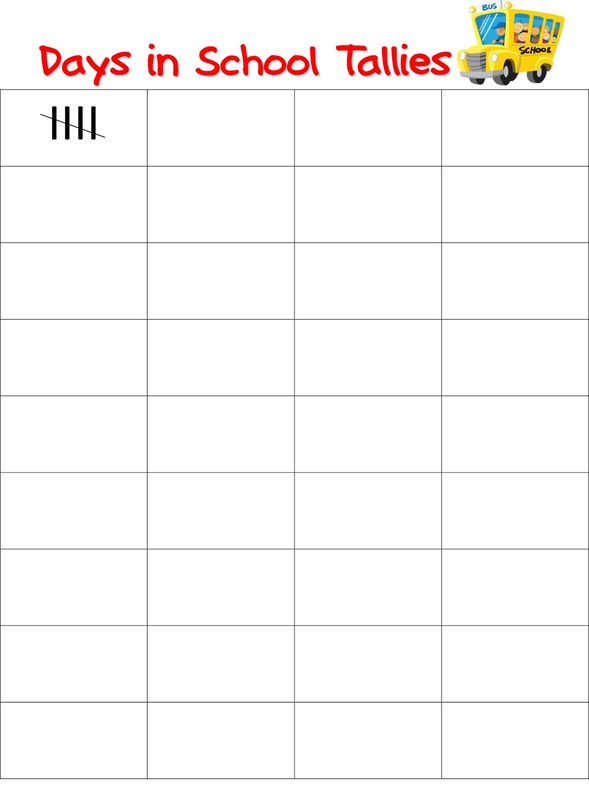 Students tally the number of days in school. Students count down the days left until summer by coloring in a square each day. Great for learning to count backwards. 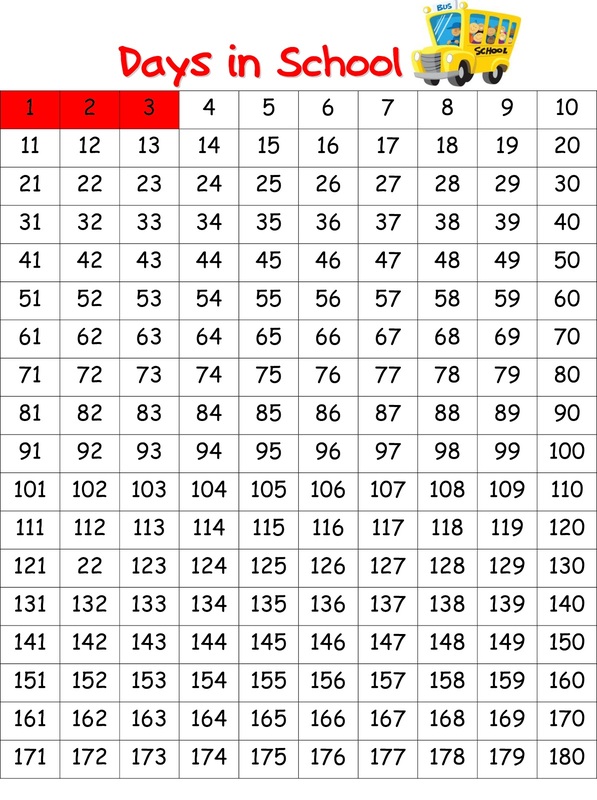 Or, higher-level students count backwards by writing down the days left until summer. Students circle the month of the year. 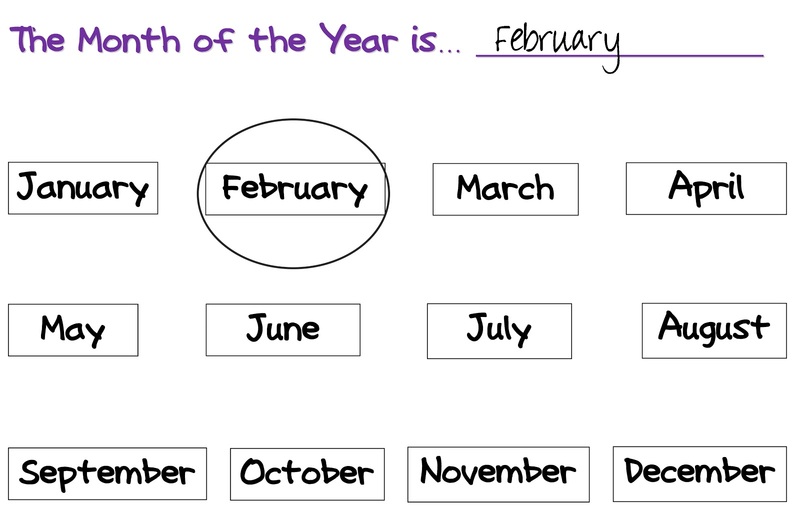 Higher-level students can also write the month in the top to practice their spelling. There is an additional page where students order the months of the year. *This page needs to be laminated for daily use. On the next 3 pages, students circle the today, tomorrow, and yesterday. 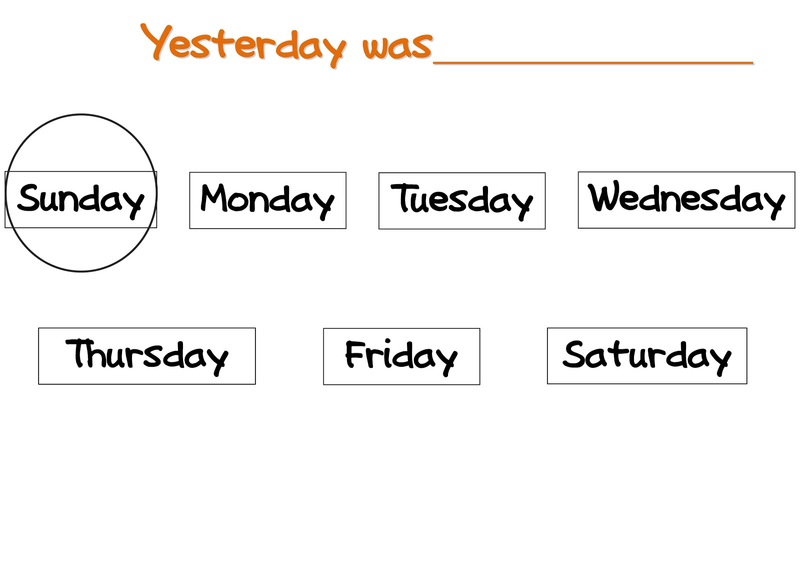 Higher-level students can write in the day of the week to practice their spelling. In addition, there is a file where students order the days of the week. *These pages need to be laminated for daily use. 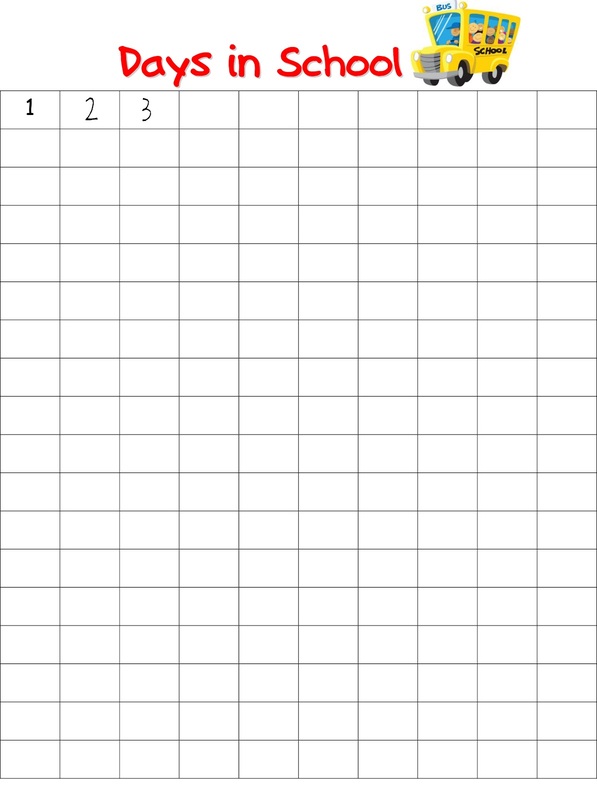 On this page, students write in the date both in standard form and numerical form. *This page needs to be laminated for daily use. 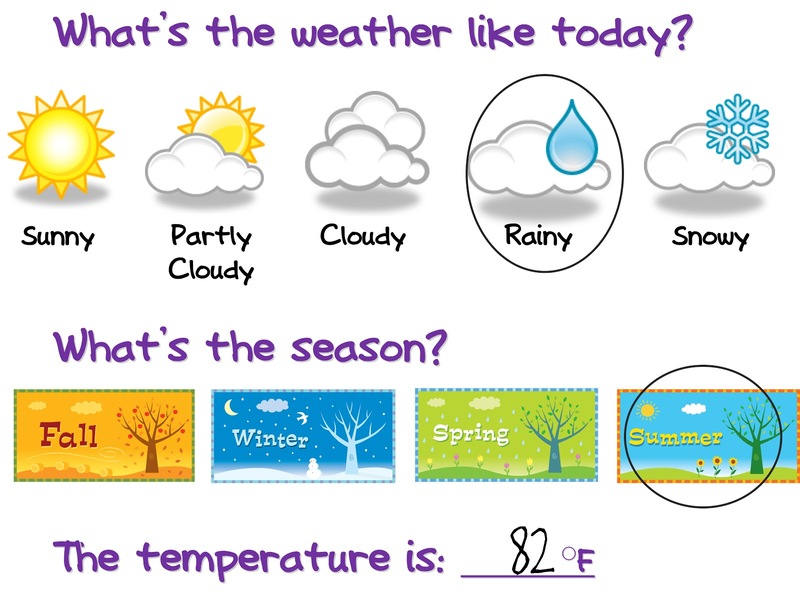 On this page, students circle the weather. They also circle the season and fill in the temperature. In our class, we either have an outdoor temperature for students to check or they use the internet to find out the temperature. 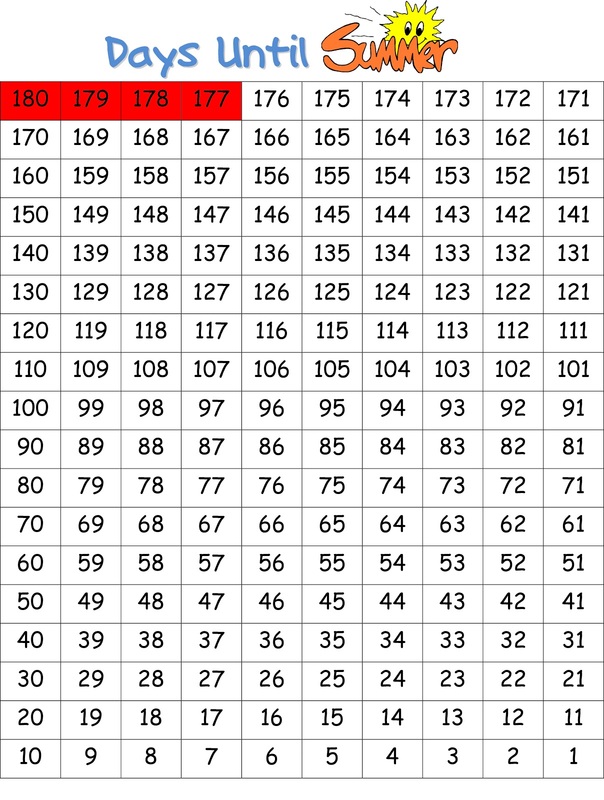 There is also a version that does not include the temperature spot. *This page needs to be laminated for daily use. 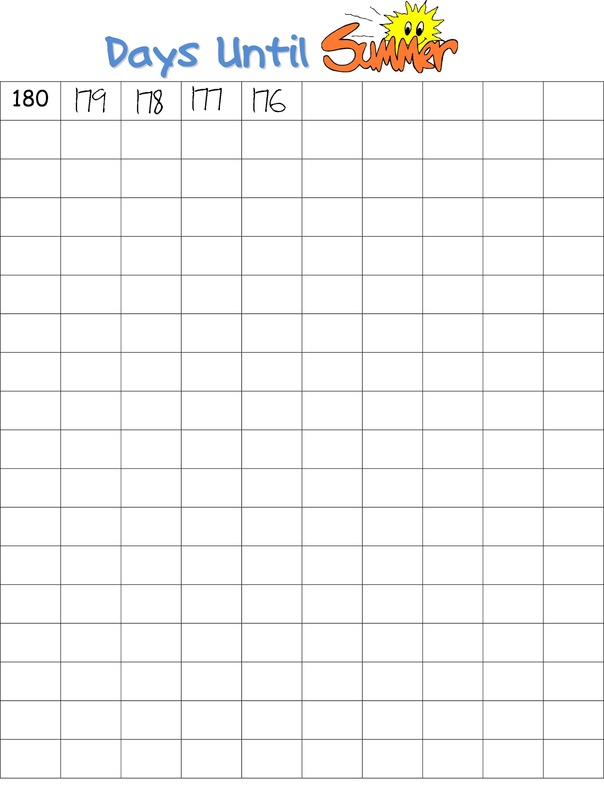 On this page, students graph the temperature by month. There is a page for every month of the year including the summer months for those with day care centers or for summer school. 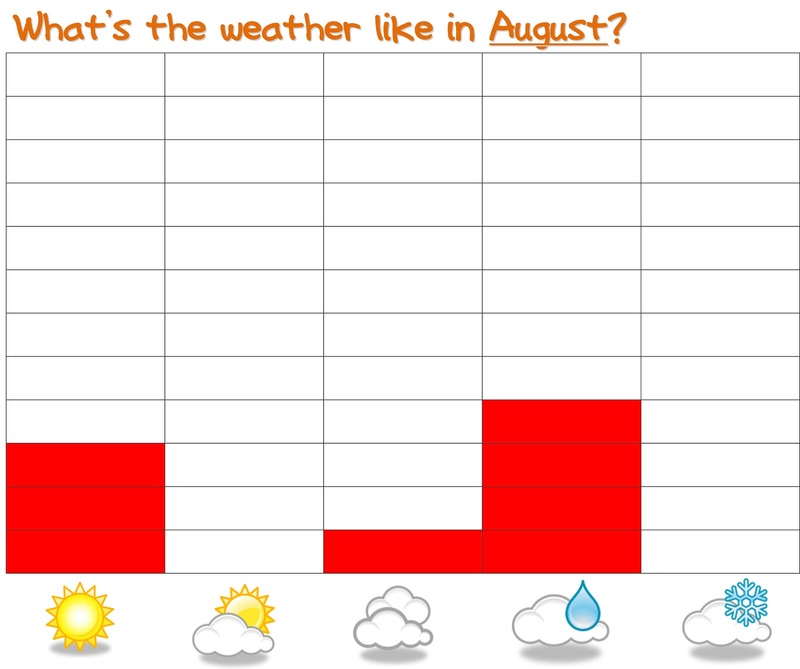 I love the graph because it gives me an opportunity to ask students questions about the graph (what type of weather have we had the most of, how many more rainy days are there than snowy days, etc). 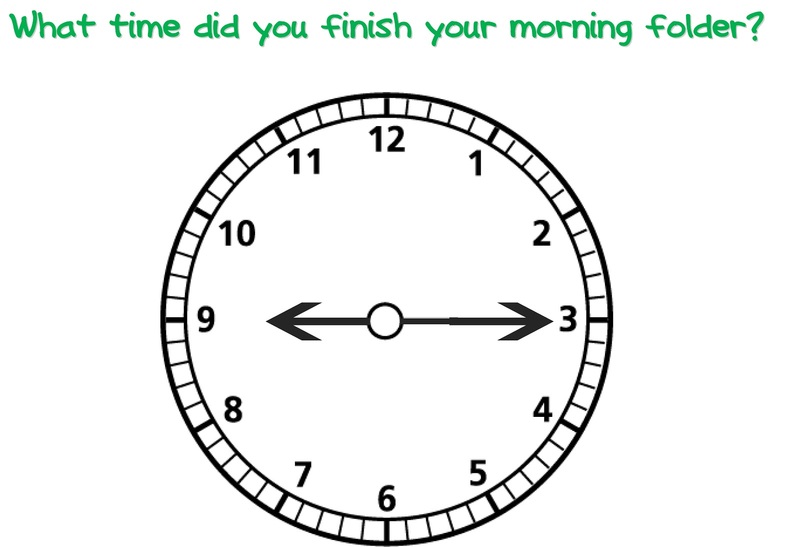 For my students working on clock skills, I have them draw in the time they finished their morning folder. For students that are non-writers, I attached a brad with the clock hands. You can have students draw their hands to the nearest hour, half-hour, quarter-hour, five-minutes, or minute based on their level of skill. *This page needs to be laminated for daily use.